Ready to apply? Click to 'Start Here' and apply now. Clubs and Sporting Bodies will be phased in for the 2015 with the Registration System now requiring a persons WWCC number and expiry date. For full details, see the FACT SHEET: Phase in schedule (PDF 69.5KB). To register or help out at any level of Junior Rugby League in 2015 and are over the age of 18 or turning the age of 18 in 2015 you must have a valid WWCC number and be successfully cleared. Before any team official or committee member can register and take part in 2015 they must receive their WWCC clearance number. All Working With Children, Member Protection and Child Safe documents will be posted into this section. Are you involved in local sports? People working or volunteering in sport and recreation need to prepare for the phase-in of the new Working with Children Check. Find out more by registering for a free Child Safe Seminar! The workshop has been specifically designed for NSW sports clubs by the NSW Office of the Children’s Guardian. Many SSOs are attending a WWCC Sports Talk here at the Sport and Recreation offices tomorrow, where OCG will discuss the new club workshop in more detail. The NSW Office of the Children’s Guardian is an independent government agency which administers the Working With Children Check and encourages organisations to be safe for children. Every person and organization bound by this policy must always place the safety and welfare of children above all other considerations. The Australian Rugby League acknowledges that our staff and volunteers provide a valuable contribution to the positive experiences of our juniors. The ARL aims to ensure this continues and to protect the safety and welfare of its junior participants. A new working with Children check will be introduced with workers and volunteers having a simple two-step procedure for getting a New Working with Children Check. This information is subject to change at any time. Refer to the NSW Commission for Children and Young People website: www.kids.nsw.gov.au or contact (02) 9286 7219. All NSW clubs and associations who engage/employ pe ople in child-related activities (in a paid or voluntary capacity) must meet the requireme nts of the Working With Children Check. This is a legal requirement. New South Wales Rugby League Limited (“NSWRL”) has a duty of care to all those associated with it and its members, constituent and affiliate bodies , rugby league clubs playing in competitions conducted under the auspices of NSWRL (all together “Relevant Rugby League Organisations”) and all individuals involved in rugby league in New South Wales. 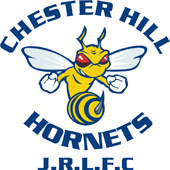 As a requirement of our Member Protection Policy, NSWRL must enquire into the background of all those who undertake any work (whether on a paid or volunteer basis), coaching or any other regular unsupervised contact with people under the age of 18 years (“Children”) as part of their involvement in the game of rugby league.